Mark Your Calendar! 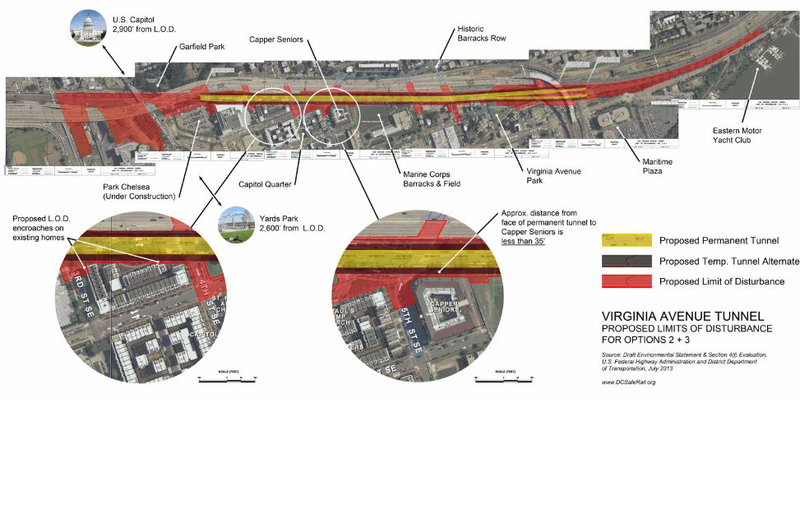 Mayor Vincent Gray will meet with Navy Yard and Capitol Hill communities on January 16th to discuss CSX’s proposed expansion of the Virginia Avenue Tunnel. public meeting on Thursday, January 16th, at 6:30pm. Save the date and please plan to attend. Food and refreshments will be provided. The District government is a key player in determining whether this project proceeds, and if so, under what conditions. Therefore, this meeting with Mayor Gray is crucial in the overall decision-making process and oversight responsibilities. The final agency decision could be made at any moment, so this could be your last opportunity to be heard. Please make sure you are able to attend, and bring your friends and neighbors. Space will be available for children to play within the meeting space and we will have games and activities to keep them entertained. Hired sitters will help keep watch and entertain the children while you hear from the Mayor and share your own thoughts on this proposed project. CSX has proposed to expand and shift the Virginia Avenue Tunnel beyond its current right of way and vastly increase the amount of freight (including hazardous materials, such as crude oil) shipped through the city. This proposal will negatively impact passenger and commuter rail operations in the DC metro area for generations to come and poses a direct threat to the health and safety of those who live and work nearby. CSX’s proposed plans for expanding the tunnel magnify the risk of a derailment like what happened right before Thanksgiving in Willard, Ohio and around the New Year in Casselton, North Dakota. During construction, which is expected to last approximately 4-6 years, CSX would be running larger and more frequent trains at increased speeds in an uncovered and open trench literally through an active construction site. CSX has not denied that its proposal increases the risk of such a derailment, which would be particularly catastrophic if it resulted in an oil explosion and/or release of toxic chemicals. In addition to ignoring the risk of derailment, CSX’s proposal has not properly addressed how it would mitigate increased air pollution (including diesel fumes and the presence of 8,000 sq. ft. of asbestos), traffic and parking for area commuters, noise pollution, and structural vibrations (among other negative impacts).